Looking for a killer deal at a killer price. Then our Blowout page is made for you. These items are At or Below Costs so you save BIG! 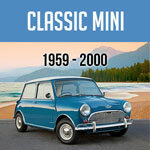 Check out our huge selection of Classic Austin, Morris Mini and Mini spare parts at a ridiculously low price. All orders MUST be placed on line and are limited to stock-on-hand, no back-orders, Blowout items are non-returnable. 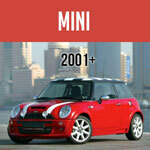 For other killer deals, check out our SPECIAL SALES page, OVERSTOCK page and CLEARANCE page page. And don’t forget to Join Our Email List for exclusive Monthly Discount Codes for parts and accessories throughout our website.